Why do professional level wireless microphone systems cost so much? 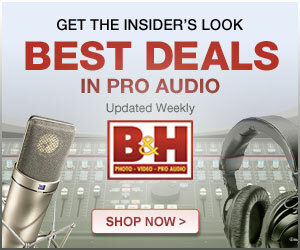 Do they just have audio quality that is that much better? Or are there other features that pros need that enthusiast filmmakers don’t need? What am I missing if I go for one of the consumer/prosumer wireless systems? In this episode we explore these questions by talking about 3 wireless microphone systems I use: RODELink, Sennheiser G3 (and now G4), and the Audio Limited A10 system. We clarify the important differences so you can understand when a consumer grade wireless system is everything you need for your projects and when it might make sense to rent or buy a pro-level wireless system. RODELink Filmmaker Kit - Good digital wireless consumer/prosumer system - Been a useful part of my kit for 3 years. Audio Limited A10 Dual Channel Receiver - Pro level all-digital wireless system for lavalier and boom microphones. This receiver supports two channels (i.e., two separate transmitters can transmit to this receiver which then sends two separate audio channels to your audio mixer/recorder). This week's episode is a different than our usual episode: I spent the last 3 days on a shoot in a different city. I was primarily the sound guy and my brother Cary was primarily the DP. The job was for a documentary corporate video. We learned some lessons with this experience and wanted to share those here. We didn't get to talk about lighting much but the short story is that the producer did not want large imposing lights and we needed something we could transport via checked baggage on our flight. We opted to use the Aputure LS1s LED panel and a Kamerar BrightCast flexible LED panel, both shot through Kamerar D-Fuse soft boxes. These both came in my pelican case and traveled well. They did a great job in the varied lighting situations we encountered for the interviews. Aputure Light Storm LS1s LED Panel Light - easier to transport than Aputure COB120d and the producer did not want large, imposing lights. Kamerar BrightCast Flexible LED Panel Light - again, easy to transport and even lighter than the LS1s with about 1/2 the output power but the ability to color tune between daylight and tungsten. Kamerar D-Fuse Soft Box for LED Panel Lights - super light. Not the softest of soft boxes, but small and easy to transport. Sennheiser G3 Wireless Lavalier Microphone System (G3 ew119p) - my new favorite wireless lavalier system. Takes a few minutes to set up at the start of a shoot, but holds a signal even when out of line-of-sight which is better than the digital wireless systems I've used. Nikon D750 DSLR Camera - Good old DSLR, but a good option in this case since we had two of them and needed two cameras for the interview shoots. Atomos Ninja II HDMI video recorder. An oldie but goodie. The screen is not amazing but the ProRes files it records are great to work with in post production.